Patagonia, a brand that delivers high quality and ultimate performance clothing, has released a new collection. They decided to go with a radically resourceful collection aka Re\\\collection. Each item found in it is made from almost 100% recycled materials. Before we start talking about these materials, it’s important to mention that Patagonia has been experimenting with recyclable resources since 1993. So, more than 20 years ago they created fleece from recycled plastic bottles. Now it was time to use different resources. Clothing items available in the collection feature 100% recycled down, wool and polyester. 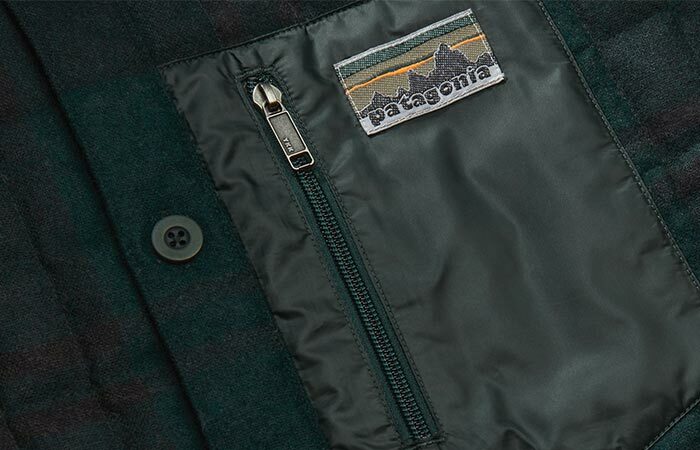 Patagonia released their newest collection made of almost completely 100% recyclable materials. Their down mixes 600-fill-power goose with duck down, perfect for keeping you warm during cold winter months. The polyester comes from used plastic bottles, manufacturing waste, and worn-out garments. Here, it was used to create face fabrics, high-loft fleece, smooth liners, and drawcords. Lastly, wool is made from discarded sweaters. Since they were previously dyed, the company saves water, chemicals, and wastewater. Besides these materials, the collection features 85% recycled heritage label, 80% recycled zippers, 50% recycled buttons and 100% recycled waist drawcord. There are five different clothing pieces available in the collection- a jacket, shirt, vest, pants and pullover. You’re probably wondering what’s available in the collection. There’s the lightweight down shirt-jacket with large handwarmer pockets and two inner compartments. It’s cozy and easy to pack. For more warmth, they included the minimal down shirt. 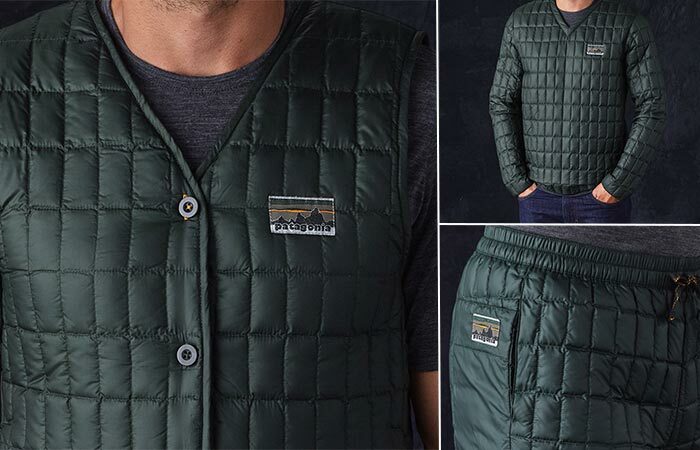 The vest is versatile since it allows you to wear it both sides while the pullover and pants feature a similar construction. Both are lightweight and fit into a stuff sack. The inspiration for the models came from their archives. All items feature a heritage based style, a recognizable and approachable style to wear. Watch this video and hear the story of how Patagonia designers created this recycled materials collection.